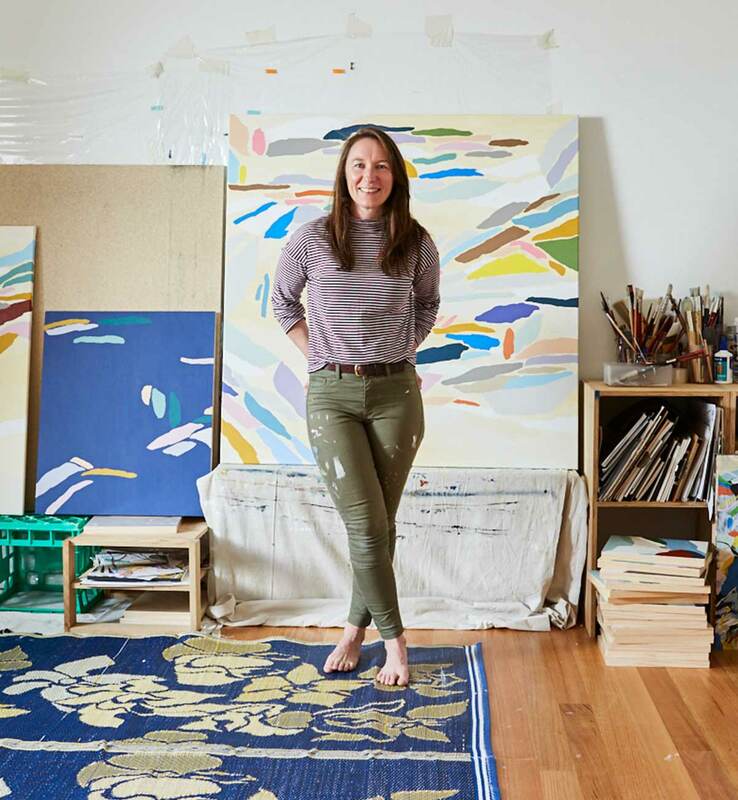 Andrea Shaw is a multidisciplinary artist living and working on the beautiful Victorian Surf Coast with her husband and son. relationships between colour, pattern, space and landscape inform her works. Andrea’s painted works are abstract representations of the beautiful landscape on her back doorstep. Mostly painted from memory or quick sketches done out on walks her works are dynamic, playful snapshots responding to the ever changing and vivid colours and forms within the landscape and beyond. Andrea has had three successful solo shows in Melbourne and Geelong and has been curated into multiple group shows around Australia. She has also created window installations and wall murals for noted Melbourne boutiques and jewellery galleries.